HERE IT IS! My Book 9 NEWS! As many of you know, I adore Cornwall and St Ives in particular. I’ve wanted to set a novel there for many years but I finally found the perfect story to tell. And I’m incredibly proud of the result. It’s a properly romantic story, told from two perspectives, and I think you’re going to fall in love with Seren and Jack. Somewhere Beyond the Sea is a sparkling tale of love, life and finding magic where you least expect it. The cover of Somewhere Beyond the Sea is being designed at the moment – I’ve seen the first design and it’s my most gorgeous cover for years. I’ll be sharing that with you very soon! Till then, watch my vlogs, Twitter, Instagram and Facebook page for exclusive snippets, details, behind-the-scenes treats and competitions. It may be eleven months before the book publishes, but I’m going to be packing so many goodies into those months for you. Fancy joining me on the Somewhere Beyond the Sea journey? It’s going to be BRILLIANT fun! Just a quick post to let you know that I’ve FINISHED writing the first draft of my new book! Woo-hoo! It’s taken lots of late nights (including five all-nighters, which I don’t recommend! ), countless cups of tea and coffee, at least three different notebooks on the go at once and not an awful lot of sleep, but my ninth novel is finally written and I’m chuffed to bits with it. Of course, there are edits to come – a structural edit, line edit, copyedit and final proof edit – but for now my book is out of my head and onto the page. All the locations are there, the cast and supporting cast (always important in my books) and a central town setting that is as much a character as the protagonists themselves. I hope you’ll be able to not just imagine yourself there but also experience the sights, sounds, scents and tastes of this story. I’m doing a final read-through today and then sending it to my editor at PanMacmillan tomorrow. It feels like the end of a mammoth journey, which has included moving house, being without internet for a month, things breaking and scary bills (who said being a full-time author was glamorous?!). In reality it’s only the first stage in a journey, but I think this is the most important – not to mention the most fun – where I get to tell myself the story first, before anyone else sees it. From the moment I hit send on the email taking it to my editor tomorrow, this story stops being just mine. And that’s okay because it’s one of the beautiful things about writing novels – your first draft is a single splash in a pool that then sends ripples out further than you can ever see. Oh wow – welcome to the world, Anna Browne! My seventh novel – woo-hoo! What I’m so happy about is that my book getting its cover is one step closer to it being shared with the world. And that makes me happy because this is a story I have wanted to tell for several years. 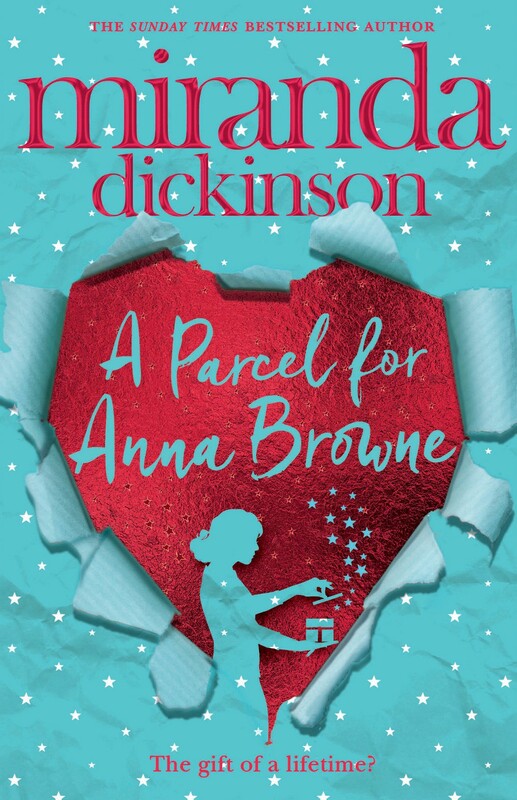 Moving to my new publisher, Pan Macmillan felt like the right time to write Anna Browne’s story – and I’m really proud of the book. I firmly believe it’s my best yet and I can’t wait to share it with everyone!